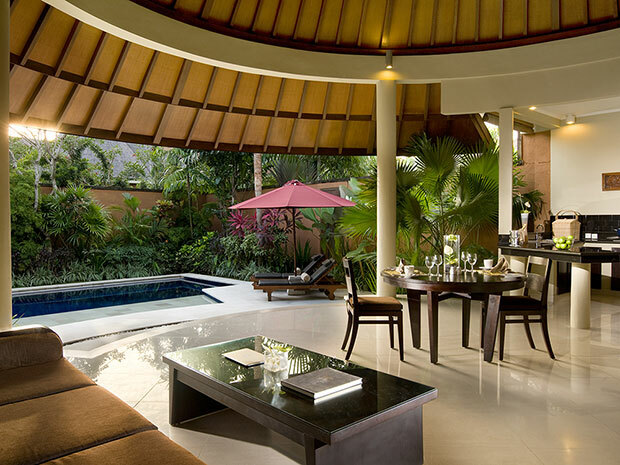 One-bedroom villas consist of a single pavilion on a 285m2 property. 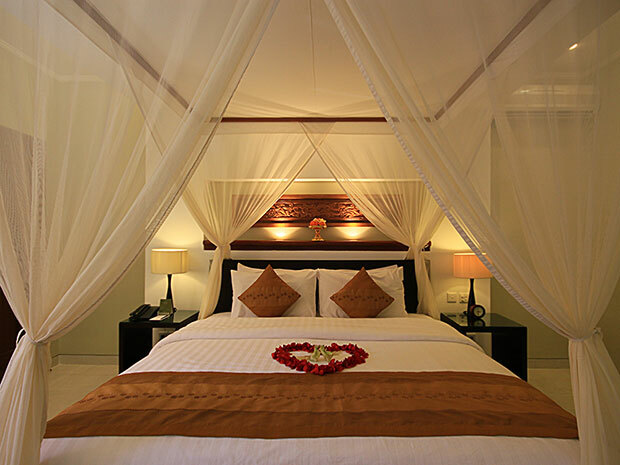 The Villa consists of 1 bedroom with en-suite bathroom, sofa lounge area with sound system, dinning area and full set kitchen. 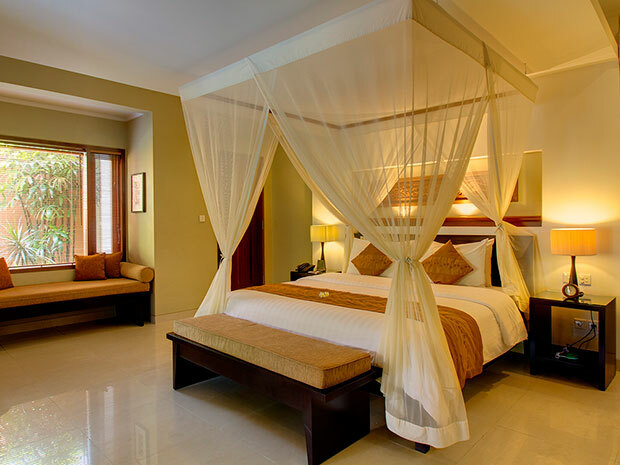 All bedrooms have satellite television, en-suite bathrooms and walk in closets. 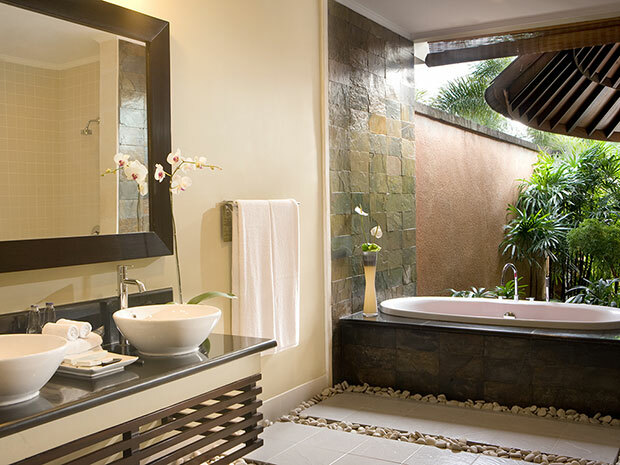 The bathrooms feature separate shower and bathtub and double sink vanity. 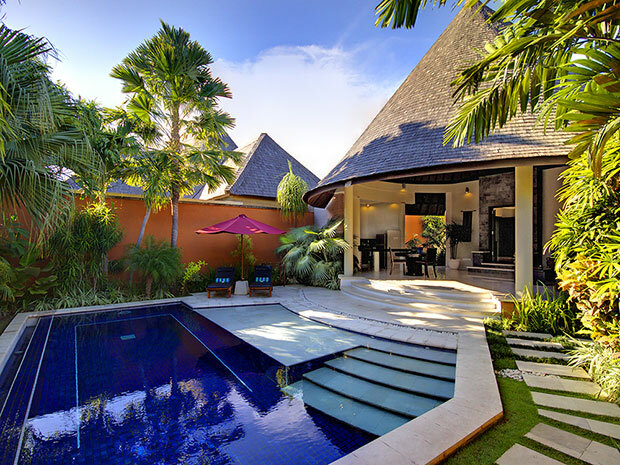 The swimming pools in our 1 bedroom villas are large 8.5 meter x 3.5 meters and include a wet sunning area (20cm deep water) beside each sundeck. The Bedrooms feature King size King Koil beddding, built in wood wardrobes inclusive of private electronic safety box and walk in closets. 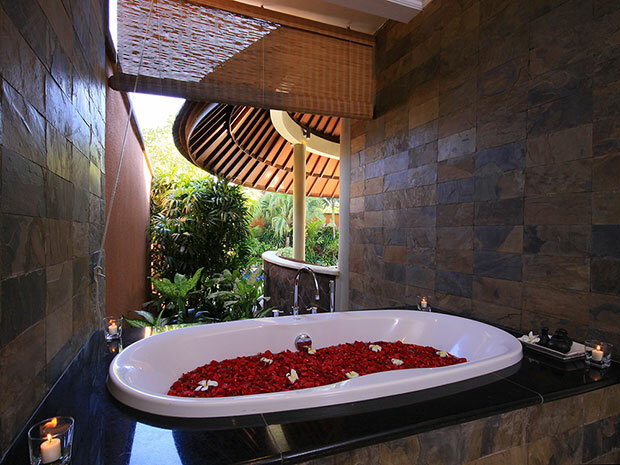 The bathrooms feature separate shower and bathtub and double sink vanity. An en-suite bathroom. 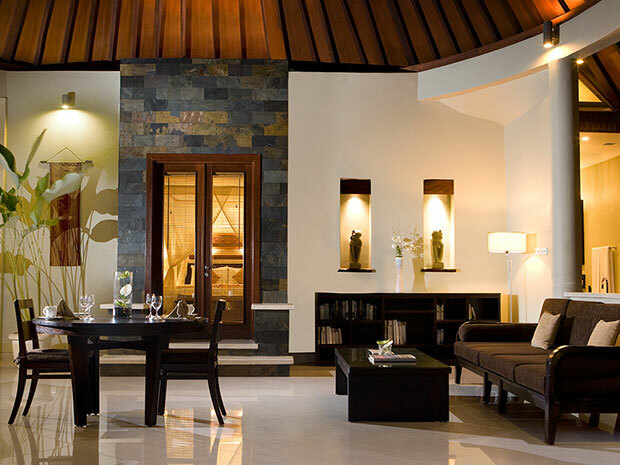 All bedrooms are 30 meters2 and include Television cabinet, writing desk with vanity mirror, day bed sofa. Featured in all bedrooms is a 110 Volt electric plug located beside each vanity mirror.